Deputy Pringle this week raised the issue of reduced Mackerel quota for Irish fishermen in the Dáil with Minister for Agriculture Michael Creed. 55,000 tons has been allocated for 2019, a reduction of 20% from the previous year. Speaking to the Minister Deputy Pringle said “there are questions over the use of scientific data to justify this reduction and the Government framing it as a win from that regard. 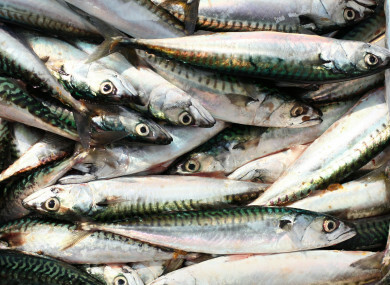 “The fishing industry is sceptical of the continued use of scientific advice to justify a reduction in Mackerel quota. I have asked the Minister for his view on the scientific criteria used to determine the reduction in Mackerel quotas and what this spells out for the future of the Irish fishing industry particularly in the context of Brexit. “The Government has consistently failed to review the scientific criteria. It’s not about the Department undermining science it’s about making that science transparent to those working and making a living within the industry. The Department has the power to look at the criteria being used so that we can understand how quotas are being reached. It’s about transparency more than anything. “The Minister gave a wholly unsatisfactory answer in the Dáil today which provides no reassurance to the fishing industry. I hope that more careful examination of scientific data is granted as Mackerel quotas continue to be reviewed into the future” concludes Pringle.